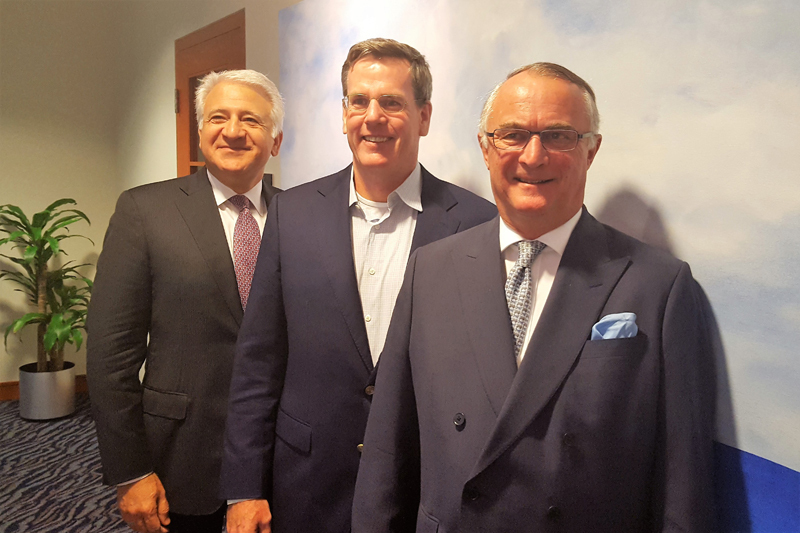 Kevin O’Donnell, President and CEO of RenaissanceRe Holdings Ltd. has been elected chair of the Association of Bermuda Insurers and Reinsurers [ABIR] for a two-year term beginning January 1, 2017. O’Donnell succeeds XL Catlin Executive Deputy Chairman Stephen Catlin who completes his two-year term December 31, 2016. Elected as First Deputy Chair was Brian Duperreault, Chairman and CEO of Hamilton Insurance Group and Albert Benchimol, President and CEO of Axis Capital Holdings Ltd. was elected Second Deputy Chair. Brad Kading, ABIR President and Executive Director, thanked Mr. Catlin for his leadership. “Stephen brought a tremendous depth of knowledge to this position and was instrumental in leading ABIR discussions with UK and EU political leaders. “He helped the membership navigate successfully down the Solvency 2 equivalence path. The members are extremely grateful for his service,” Kading said.